My colleagues have persuasively described their thoughts and reflections on the current situation we find ourselves in when it comes to fully understanding and effectively utilising ‘power’. If recent political and social changes have taught us anything, it is that the pace of change grows ever faster, often with unforeseen consequences. This speed of change can make it difficult to know how to maintain power; how to effectively persuade and how to influence others. The landscape shifts, and those of us not adept enough to move with it can be left as relics of the ‘old ways’ within the blink of an eye. The key is to adapt quickly to maintain our power. A small, successful, family-owned retail business has been running for over 30 years. The current manager knows his products inside out. He knows the pros and cons of all brands and products, the best way to use them and the potential alternatives. He has always been open and honest in providing advice and guidance to his customers and as a result, has created a successful business built on a reputation for being an expert in his field. However, in recent years he has found it more difficult to influence his customers. More often than not his disgruntled conversations now include the phrase …“if another customer comes up to me and tells me that my advice isn’t what it said on Google…”. This is a classic example of those with a source of power failing to adapt to the changes around them. As we all know, gone are the days where only the most senior and experienced hold the greatest perceived knowledge. If we relate this situation back to Mark Goodridge’s three-pillar approach to persuasion, the manager’s natural preference might be to rely heavily on Ethos, based on expertise and knowledge. However, as his environment evolves and the expectations and resources of those he wishes to influence change, his attempt to influence and maintain power needs to shift around the three pillars to retain his power for the future. At OE Cam we acknowledge that power is key to effective leadership in organisations. Not only do leaders need to understand differing sources of power, they also need capability in adaptability. 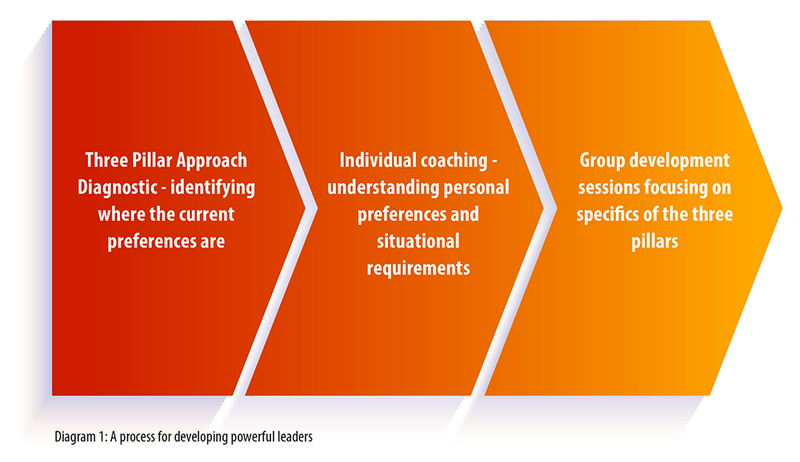 This guides the way we work with clients to develop their senior leaders, the factors that we explore with them and the areas we focus on developing. Successful development programmes provide a language and framework to allow leaders to navigate preferences and landscapes effectively. OE Cam is currently developing a diagnostic tool that allows leaders to understand where their natural preference may lie in regards to the differing pillars of persuasion, as well as assess which type of persuasion will best influence in a given situation. Providing leaders with a platform for assessing a situation quickly aids the speed of adapting from one style to another, and as previously stated, it is this adaptability which is key. The use of individual coaching may not be new as a concept, however the diagnostic provides us with new areas of focus and takes us away from dealing with the transactional to a greater focus on effective persuasion. The underpinning values of organisations are utilised to fully understand and analyse the optimum balance of ‘persuasion pillars’ which are best suited to the specific environment. Enabling leaders to be agile, adaptable and easily able to understand the type of persuasion and skills required ensures that they maintain power and influence over time. Failing to provide leaders with this capability can lead to the situations described in the example above, when persuasion and power remains stagnant and therefore eventually ineffective. This individual focus of coaching also allows the consideration of the detriments of over-use of each pillar. 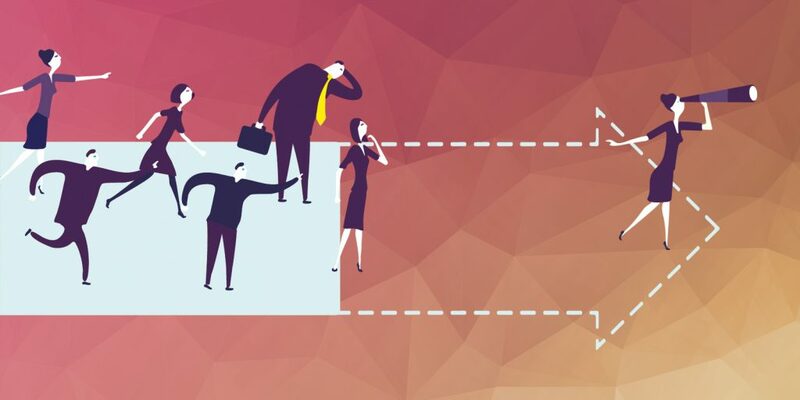 As with all behaviours, extreme use or excessive preferences in one area of behaviour can have negative impact, with leaders often failing to consider the perspectives of others. When we see this in the three-pillar approach, behaviour falls into the ‘negative zone’. Helping leaders out of the negative zone, should be done individually and with finesse and care to avoid the perception of simply paying ‘lip-service’ and thus undermining the attempt to re-engage power. For example, should the manager in my previous example suddenly change his behaviours to show extreme emotive decision-making after 30 years of factual, straightforward behaviours, the approach may appear forced or unnatural. Instead the changes should be developed naturally through use of effective language and integration of the natural preference for Ethos styles. Enabling leaders with the knowledge as to what type of persuasion they should utilise to maintain power is all well and good, however the time should be taken to ensure that the capability within the differing persuasion pillars should also be taken. Programmes that focus on specific areas can be utilised with leaders to ensure that they have a complete capability set to allow them to adapt effectively. Logos – focusing on creating an effective argument for differing audiences, effective decision-making and holistic analysis for effective problem solving. For example; encouragement of teams or individuals to consider a holistic view of their power systems within their given organisation and the preferences within these power systems to ensure effective influencing. In addition, the exploration of scenario planning skills to increase adaptability with problem solving and decision-making. Pathos – focusing on the utilisation of emotional intelligence and the language of building effective stories. The focus of such workshops would be presentation style and communication skills utilising emotion and personal stories. For example, increasing skills in “2 minute communications” and “elevator pitches” which build in the perceptions and values of others. Ethos – focusing on building trust quickly and identifying and communicating personal values. The importance here is the speed to which trust is built and the authenticity that leaders have when expressing their personal values. In order to enable this, the workshop would focus on ensuring that personal values are understood and compared with those of the specific organisation. An understanding of how these values might impact language and influence would also be addressed and built into an effective and powerful narrative. The outcome of such development programmes is a cadre of leaders who are resilient and who, unlike the manager in my previous example, understand and are capable of shifting their balance of the persuasion pillars to suit their environment. Therein lies the key to maintenance of power.